I bought these 2 books off Amazon the other day and I received them this morning. 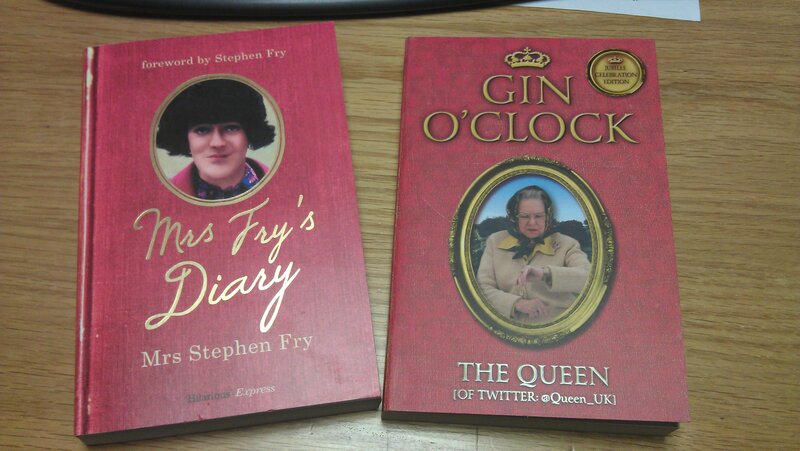 Both “Gin O’Clock” and “Mrs Stephen Fry” cost less than £8.00, with free delivery – didn’t think that was half bad. The text looks relatively easy to read, so I should be done rather quick. I reckon the one by her majesty will be quite whitty! This entry was posted in General and tagged book, gin, stephen fry, the queen, whit. Bookmark the permalink.